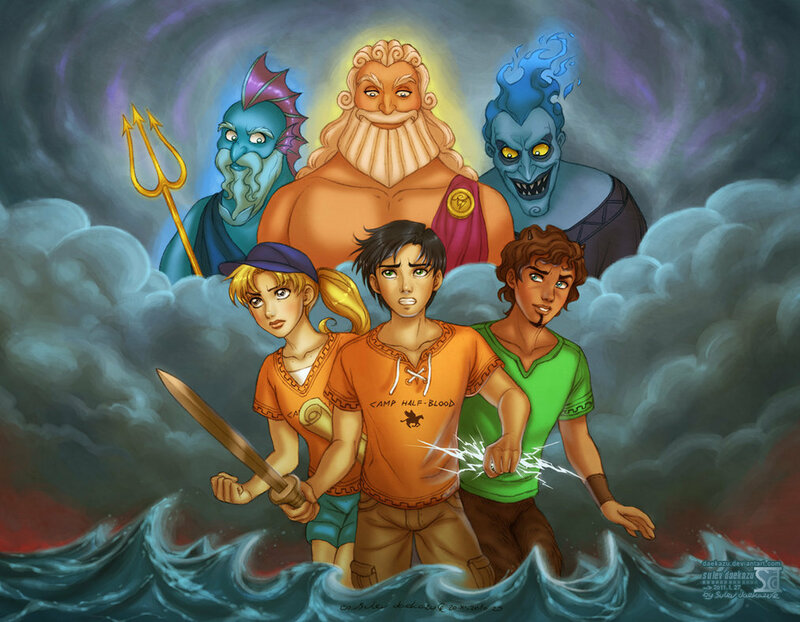 Gods from Hercules and demigods from Camp Half-Blood. . HD Wallpaper and background images in the Percy Jackson & The Olympians boeken club tagged: percy jackson grover annabeth chase drawing fanart hades zeus poseidon hercules disney. This Percy Jackson & The Olympians boeken fan art might contain anime, grappig boek, manga, cartoon, and stripboek. ^^That's the point. The gods (Zeus, Poseidon, and Hades) are from the Disney movie Hercules. The demigods (Annabeth, Percy, and Grover) are from Camp Half-Blood. And that is exactly how I imagine Annabeth. Groves looks like he was in the movie, Zues, and Hades look like they were in the Disney cartoon Hercules, And what is wrong with posidon? ^^Poseidon isn't really a character in Hercules, but he is there. Look for him in the opening scene of Hercules, on Olympus where the gods are having a party to honor the birth of Hercules. why does my dad have a fish fin!!?? *chuckles* great job keep it up! Why does my dad have flames for hair? And Annabeth looks ready to beat someone up with that scroll lol luv the pic!! !